A-Yoko Ono Plastic Ono Band & Friends_35.jpg, originally uploaded by greg C photography™. On March 29th I photographed Yoko Ono Plastic Ono Band & Friends at Le Poisson Rouge, NYC as part of the Yoko Ono And Friends To Japan With Love Benefit. 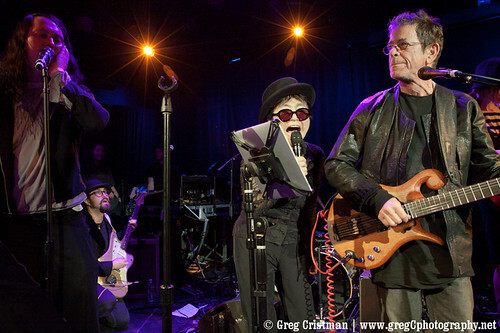 Guests included Lou Reed and Antony Hegarty (both shown above with Yoko and Sean Lennon), The Patti Smith Group, Cibo Matto, Nels Cline, Greg Saunier, Michael Leonhart and more. Photos from the show will be on BrooklynVegan shortly so keep an eye on their site.